The Normandy invasion has started and it's time to move your battalions of tanks off the beaches and into the battlefields of Europe. You are in command of each tank, all the way down to the angle and power of each shot. 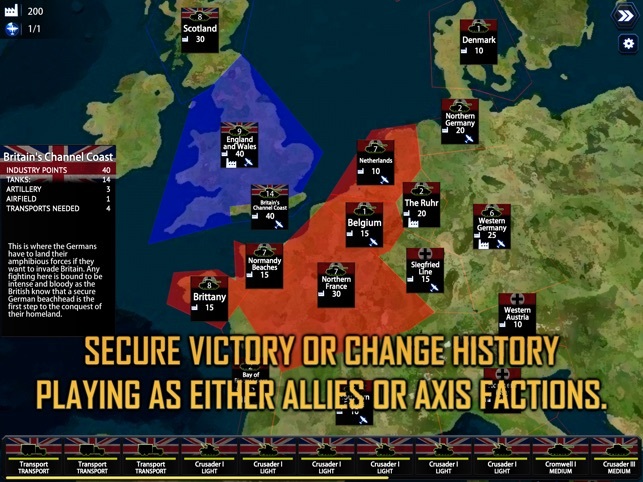 Choose your shell type, aim by skill (not random values), move anywhere (no grids) and take on the armored machines of the Axis powers, or switch sides and defend fortress Europe from the Allied invasion. 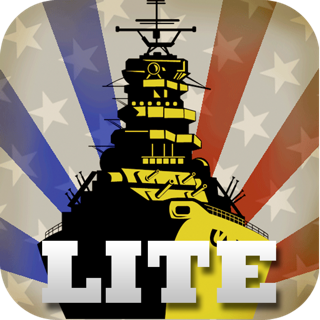 Battle Fleet: Ground Assault lands the Battle Fleet series onto the tank battlefields of World War 2. 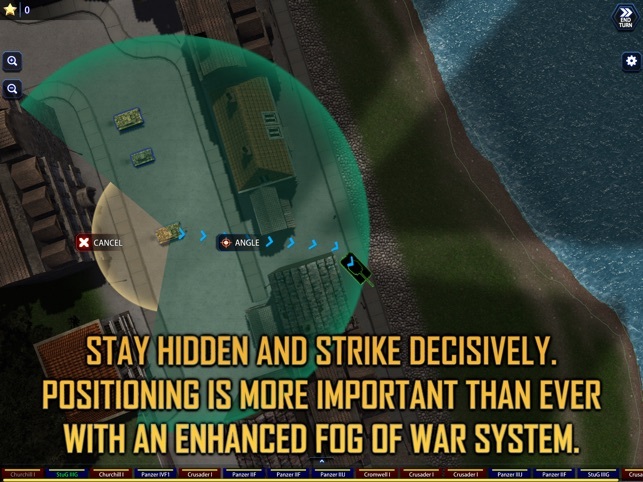 Continuing the strategy and unique “Worms” / “Scorched Earth” style angle+distance mechanic of Battle Fleet 2, Battle Fleet: Ground Assault adds destructible environments, armor, shell types and all new tactics. 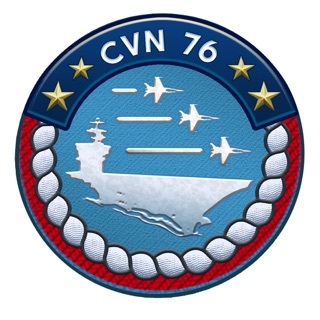 Hit their engines and cripple the enemy's maneuverability, or aim for the crew compartment and disable their tank for an entire turn. 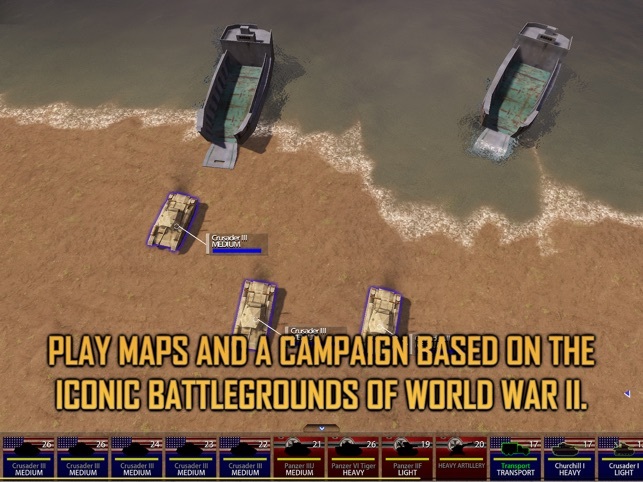 With a full featured campaign and a variety of single play scenarios, Battle Fleet: Ground Assault will make you feel like Patton charging through the German lines. 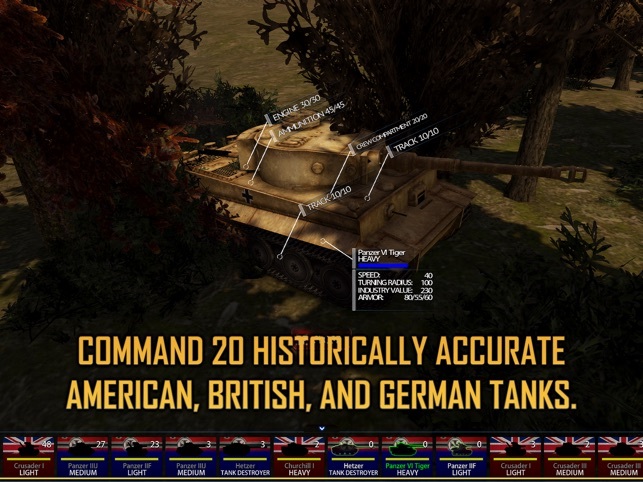 - Build your army from 20 different tanks, each one unique to each faction, with different armor, guns, mobility, and hit locations. - No grids! You can move anywhere unlike most turn-based strategy games. - Choose between High Explosive or Armor Piercing shells to do the maximum damage to your enemy. 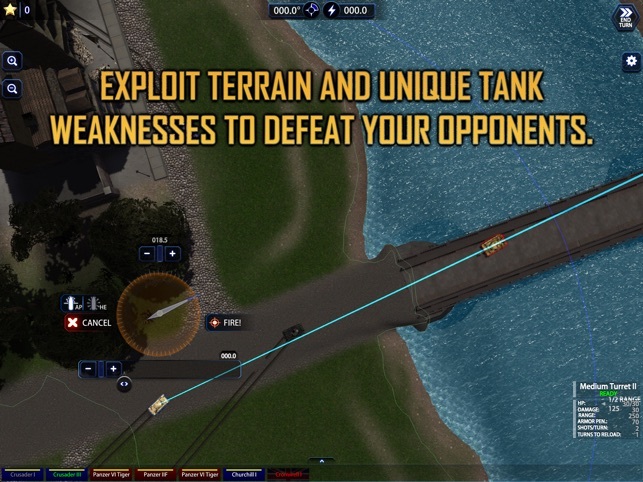 - Aim for different sides of a tank to maximize your chance of penetrating their armor. 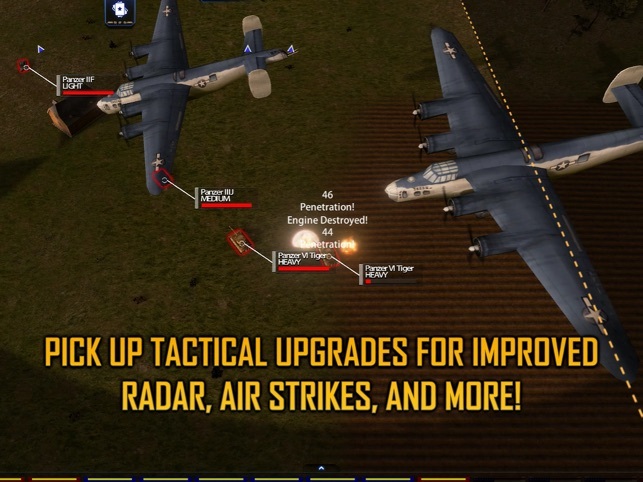 - Utilize recon planes to reveal enemy locations or airstrikes to target dangerous tanks. - Tank commanders gain experience with each Campaign battle. - Play the strategic single player campaigns, random skirmish mode, full cross-platform multiplayer, or even hotseat multiplayer. 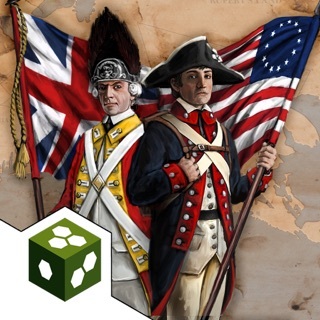 - Use artillery to protect your lines in campaign battles. - Deploy Strategic Command Cards to surprise your enemies with special actions like deploying mines, sabotage, enhanced aiming, airstrikes and more! - Battle Fleet: Ground Assault features full 3D models of WW2 era tanks. This game is great when it works. Just like the PC version but one thing. It’s very very buggy. A lot of crashes. Please release a update that fixes these crashes!